Global Solariums uses only the most advanced techniques and durable products when constructing our building additions. But, sometimes, the terminology can get to be a little hard to follow. Hopefully the following explanations can help you understand what we mean. We use a heavy-gauge, extruded aluminum for our frames. There are a few different reasons for this, starting with the durability of aluminum when compared to other products. 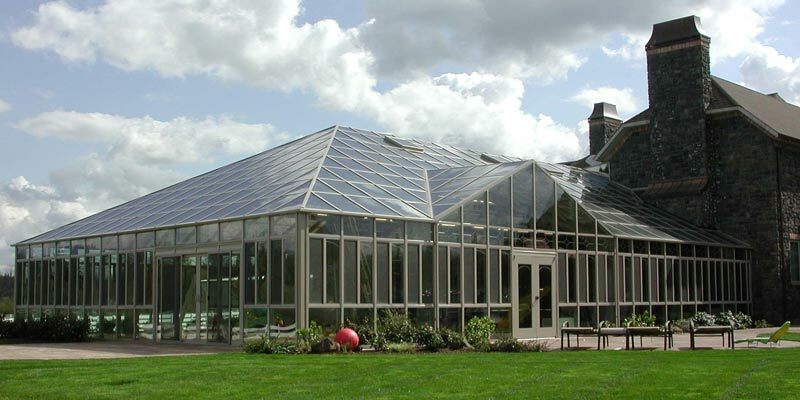 Since sunrooms, solariums, conservatories and the like are made for outdoor use, aluminum’s high resistance to outdoor elements is perfect. Aluminum won’t rust like other metals and also has a longer lifespan than wood, which can rot, warp or become distorter. With a heavier gauge (thickness), the material Global Solariums uses won’t easily dent and will hold its shape better. Aluminum won’t rust like other metals and also has a longer lifespan than wood, which can rot, warp or become distorter. With a heavier gauge (thickness), the material Global Solariums uses won’t easily dent and will hold its shape better. Extruded aluminum – aluminum that has been shaped – allows Global Solariums to have several different styles of rooms. These frames then use a thermally broken form of construction, which helps keep the rooms insulated. Thermally broken means the exterior and interior aluminum frames are built separately then attached around a window with a barrier between the two sides. This helps keep the interior of the room cool when it’s warm outside and vice versa as aluminum is a heat conductor. 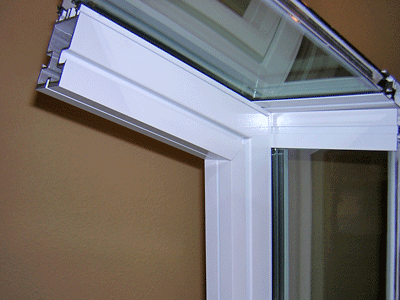 In addition to the thermally broken frames, Global Solariums uses a high-performance, low-E, dual-pane glass. The coating we use gives our windows a low-e rating, which minimizes the amount of ultraviolet and infrared light that enters through the window. This, in turn, helps keep outside factors from influencing the temperature inside. The dual-pane glass is another barrier for this heat as two panes of glass are separated by a spacer and sealed with air or pass between them. This area also reduces the amount of heat transfer. For other some of the other terms we use when describing our rooms, check out our glossary page, or reach out to us. We’re more than happy to discuss our process and help you find the perfect sunroom, solarium or patio enclosure for your purposes.